When it comes time for shopping, everyone loves saving. We believe that this applies to your flooring project too, so we put a list of things you can do in order to save on your installation. You save by making sure that you don’t have to do things twice. 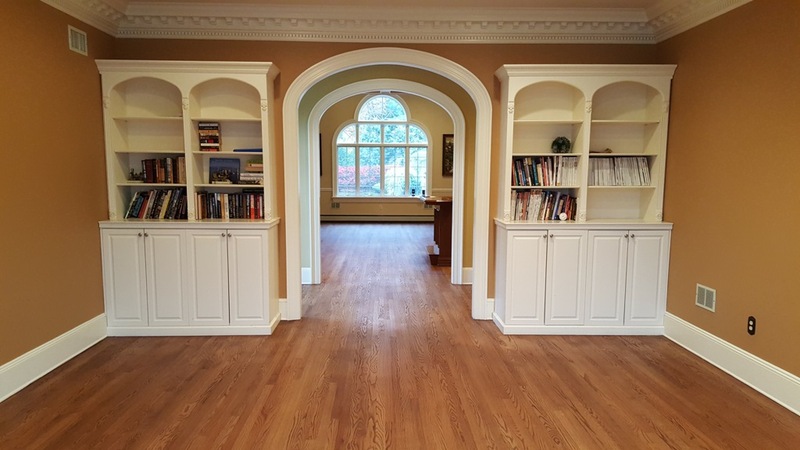 Often when following trends, clients get floors that are “in” but which they end up hating later down the road and have to refinish or replace. Before you purchase, make sure that you love the floors and that it will fit your budget and style – after all, you are going to pay for it once but live with the choices you make for a long time. Your decorations may change along the years, so choosing a floor that you love will make it easier to compromise for style changes that don’t work with your floors. You can save a lot on labor costs by doing some of the preparation work yourself. You can always leave the project site clean, move the furniture, and sometimes, compromising when purchasing the materials. If you are planning on staining your floors in a darker tone, consider lowering the grade of the wood. Lower grades are cheaper because the wood has more variations – and since your stain will be darker and the variations won’t be visible, you can save a couple hundred dollars on them. Size can also be a factor. In larger boards, the expansion and contraction with temperature changes is greater so installation is typically done by nailing and gluing the boards. Downsizing mean saving in labor and adhesive. If you are looking to save a few hundred dollars in an installation you can always book your projects during seasons of the year where contractors are less busy. Because of the low demand, most contractors lower their price and are more willing to give discounts since they have less business coming in. The winter season is especially good if you’re thinking about installing wood flooring. Trying to do many projects at once can be very frustrating, especially if you have deadlines on each trade. If you are renovating, consider choosing one project at a time as opposed to trying to get everything done at the same time. If you think prices for installations are too high consider prioritizing one section of the home and start there. If cost is not a problem, you should still consider working on your project in stages. Trying to do everything at once can be very stressful and a stressed mind can cloud judgment resulting in more expenses later. So remember, slow and steady will get you your dream floors. We hope the tips above were helpful and wish you great luck with the installation of your floors.